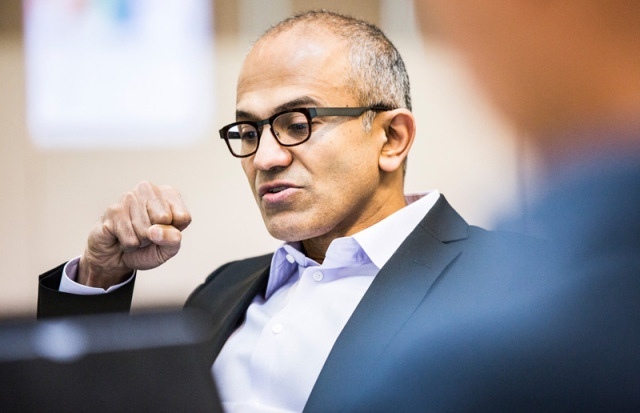 Nadella Named Microsoft CEO: Is Boring the Right Choice? As expected, Satya Nadella has been named the new Microsoft CEO. While there are likely a million solid reasons why he is the right choice, the new Microsoft CEO is clearly no rockstar. Then again, watch and judge his star quality for yourself. While he certainly seems “excited” in a coming out video posted to the web this morning, it’s perhaps unlikely that will prove infectious to anyone outside of Microsoft. He’s moving. He’s talking. He’s animated, as only an old guy can be, about his new job. Dude’s boring, which might be exactly what is needed. Microsoft is a giant corporation with multiple multi-billion dollar franchises — Windows, Office and Xbox — that need a steady hand, a gardner. Someone like Tim Cook. Someone like the guy who is the new Microsoft CEO, Satya Nadella. Magical things? Yes, snark as we do about Microsoft, they have been known to do a magical thing or three. Nadella will be assisted in creating that magic by Bill Gates, who has stepped down as Microsoft chairman and will dedicating one-third of his time to the board and the new CEO. Yeah, Bill’s pretty boring, too, and I like him a lot better when he’s saving the world rather than trying to put a dent in the universe.